Yosemite Lodging on "The Cheap"
The average Yosemite hotel, motel or bed, and breakfast costs more than $200 per night. If you're on a strict budget and don't have a tent or camping vehicle, you don't have a lot of options - but don't despair. I rounded up a selection of the best, lowest-priced places to stay in the Yosemite area. Some are tent cabins and ready-made camping spots and not hotels, but they all provide a bed and a roof over your head at rock-bottom prices. All of these hotels and other lodgings will cost about $125 per night in the highest season. And all of them get filled up far in advance, making advance planning essential. Evergreen Lodge is a historic resort with fully-furnished cabins, a restaurant and a classic, all-wood tavern. Their cabins aren't cheap, but they also offer affordable tent lodging, fully set up. All you have to do is move in and sleep. Get more information about it in the Evergreen Lodge at Yosemite profile. Located along the Merced River in Yosemite Valley, the Housekeeping Camp at Curry Village (Half Dome Village) has 266 tent cabins. Each one is large enough to sleep six people and has an outdoor grill and a fire pit. Two-room cabins have a double bed, two single bunks, a table, chairs, mirror, electrical lights, and outlets. Showers and restrooms are centrally located. Bring linens or rent them for a small fee per day. Get more info and make reservations at the Housekeeping Camp website. This KOA isn't just for folks in RVs or who bring a tent. It also has real cabins that sleep 4-6 people, Some of them have kitchens. Bring sleeping bags or bed linens. To keep the rate low, choose a cabin without a bathroom and use the campground's shared restroom and showers. All the details are at the KOA Midpines website. The Yosemite Bug has private rooms, tent cabins and dormitory-style accommodations. The Bug is self-described as a "rustic mountain resort," but it gets lots of good reviews online. Get more info and make reservations at the Yosemite Bug website. You may also find some AirBNB rentals in the area, but the least expensive ones fill up fast. Search for Groveland, CA and Mariposa, CA and use their search as you move the map function to explore what's in the area. Inside Yosemite National Park, the Wawona Hotel (now called the Big Trees Lodge) is the least expensive place to stay, but it will cost a little more than the other hotels on this list. 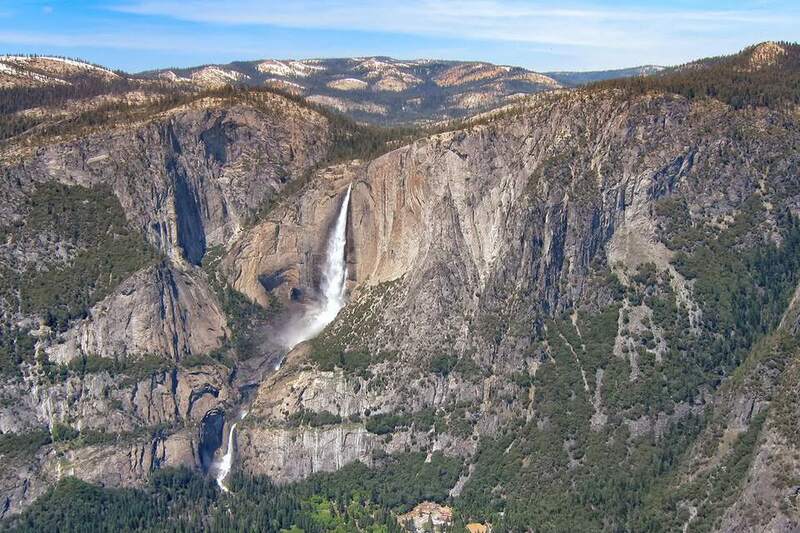 However, it's also closer to Yosemite Valley and other attractions, which you may like.